Gail Elliot, BASc, MA, Gerontologist & Dementia Specialist, is the Founder and CEO of DementiAbility Enterprises Inc. She was the Assistant Director, Gilbrea Centre for Studies in Aging, at McMaster University for 17 years and took early retirement in March 2012 to focus on dementia education. Gail’s work is being used across Canada and has been implemented globally. In Ontario, the Ministry of Health’s BSO programs have accepted this DementiAbility Methods and Validation Communication workshops are included as two of the core courses in the McMaster University Geriatric Certificate Program. Gail works closely with the Occupational Therapists Association of Hong Kong, Montessori for Dementia Australia and with colleagues in the United States. 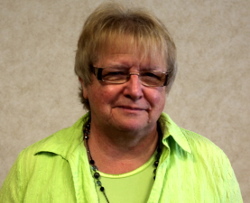 Marge Dempsey, RN, BA (Honours) – Marge is a registered nurse with a degree in neuropsychology. She spent 21 years developing and directing the clinical programs for the Alzheimer Society of Niagara Region including 3 years as their CEO. Marge has had the unique opportunity to combine her academic background and clinical work to further understand the relationship between the brain and behaviour. She is an outstanding educator and clinical practitioner who has presented nationally and internationally on this topic and others. Marge developed the Dementia component of the PIECES Training Package for the Alzheimer Strategy and was on the Physician Education Steering Committee and Working Group for the Strategy. She is also one of the co-authors of the GPA training program. Rosemary Fiss is the Manager of Education and Support Programs with the Alzheimer Society of Windsor and Essex County. She has been with the Society since March 2004. Rosemary has a Bachelor of Applied Science in Family Studies and Gerontology from the University of Guelph, a Certificate in Nonprofit and Voluntary Sector Management from Ryerson University, and completed a Master of Education in Adult Education and Community Development at the Ontario Institute for Studies in Education at the University of Toronto. Rosemary is a certified instructor for the DementiAbility Methods: The Montessori WayTM and has found that the Montessori principles can change the lives of individuals living with dementia. Rosemary’s passion for excellent dementia care is evident in her training as she blends personal experiences, real-life examples and theory. 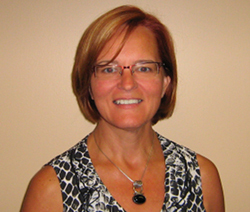 Judy O'Neil has a degree in Recreation and Leisure Studies from Brock University and is certified in DementiAbility Methods: The Montessori WayTM. Working in long-term care for 30 years and actively pursuing culture change based on a social model of care and the DementiAbility Methods, Judy fosters active learning and thoughtful approaches to new ideas. 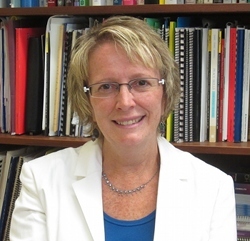 Judy is a past President of Activity Professionals of Ontario and currently sits as the Chairman of the Board for the Therapeutic Recreation Advisory Committee at Mohawk College. Judy’s passion is in working with individuals living with dementia and has found that since being introduced to DementiAbility Methods in 2005, these individuals are supported in living fulfilled, engaged lives. 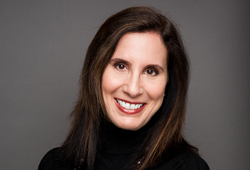 Carol Saba was certified in DementiAbility Methods: The Montessori WayTM in 2012. As a strong advocate for DementiAbility Methods, she conducts workshops and has become a consultant that focuses on helping others put DementiAbility Methods into practice. She works with long-term care residences and private clients helping individuals understand the methods and in turn, changing the way they support people with dementia. Carol’s successful implementation of these methods at a Toronto retirement home, a DementiAbility Methods day program was launched. Carol earned her degree in Communication Studies from Concordia University, is fluent in both English and French, and has experience in television production, business development and workshop management. She can be reached for consultation at: carol.montessori@gmail.com. Donna earned her degree in Chemical Engineering from the University of Western Ontario and worked for 20 years in that field. After moving to Nova Scotia in 1999, she switched gears and has been following her passion by working and volunteering with people with dementia. She has worked in both long-term care and adult day program settings. Since taking the DementiAbility Methods: The Montessori Way training, Donna has been passionate about implementing these principles. After becoming a DementiAbility certified instructor, she partnered with Gail Elliot as the Atlantic Canada DementiAbility lead to spread DementiAbility Methods throughout the region. Donna has since held DementiAbility sessions across Nova Scotia and Prince Edward Island and has helped dozens of facilities with their DementiAbility Methods implementation. She has also developed a line of DementiAbility Methods Montessori based activities to help long-term care homes and community organizations with their implementation that she sells through her website at keepingbusy.ca.